The budget itself claims that the major driver of increased city expenses are “Salary and Fringe Benefit Increases.” This is in light of the recent stories about employee morale in City Hall. The police budget has already increased significantly since 2008. 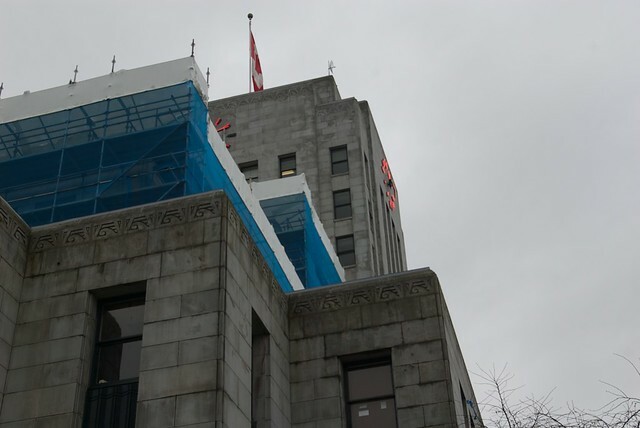 Given a 7-9% decrease in crime in Vancouver, a decrease in the police force spending would have resident support and likely relieve some of the financial pressure the City claims to be feeling. If anything, the fact that the chief of police isn’t asking for any new officers may mean that our police force has become saturated and even unmanageable. When it comes to homelessness and affordable housing, City Council keeps arguing it has no money. However, these are the biggest priorities for citizens. It’s very important to remember that the City of Vancouver has the lowest business taxes anywhere. There is no mention of affordable housing or homelessness in the 2011 operating budget, reinforcing beliefs that Vision plans to continue taking responsibility for the NPA and Province’s 14 sites, approved before Vision was elected, instead of creating any new projects. City Council has so far been responsible for no new social housing projects since 2008. Updated: The budget was passed and it looks as though all of the 2% property tax increases will be borne by residents, with a 4.2% increase for homeowners and 0.2% increase for businesses. Also, perhaps in reaction to the gang war blocks from the mayor’s home, the police budget will be increased by 2.8 percent, or $5.7 Million. Why the VPD needs this money when crime is decreasing and they self-admittedly have too many police officers is unclear. Posted in Analysis, City Hall, Housing, News, Police and tagged 14 sites, 2011 Budget, housing, Police. Bookmark the permalink.